In Kansas, nursing home abuse is a serious issue that affects thousands of innocent nursing home residents every year. Nursing home residents become the victims of abuse or neglect when there is understaffing of employees in nursing homes. Employees may express their dissatisfaction with their jobs on nursing home residents by failing to properly care for them. According to a research study conducted by the University of California-San Francisco, a total of 36 percent of nursing homes were cited for deficiencies for failure to maintain professional standards in 2008. 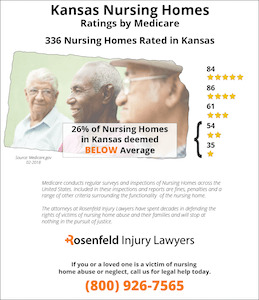 Statistics released by the Medicare reveal that eighty-nine (26%) of the 336 nursing homes rated in Kansas have fallen below the national average because they provide their residents substandard care leading to injury and wrongful death. This information is released to the public in reports generated through surveys, investigations and inspections. If your loved one was abused, neglected, mistreated, financial exploited, sexually assaulted or died unexpectedly while residing in a Kansas nursing facility, we encourage you to contact the Kansas nursing home abuse & neglect attorneys at the Nursing Home Law Center at (800) 926-7565 to discuss your compensation claim during a Free Case review. Also concerning was the statistic indicating that 41 percent of nursing homes failed to create an adequate care plan for residents in the nursing home. This could mean that residents did not receive the proper medications, nutrition or exercise that they need for their everyday care. An overwhelming 58 percent of facilities contained an accident-prone environment. If you have a loved one who has suffered as a result of these forms of neglect or abuse, then get in touch with a Kansas lawyer today. A Kansas lawyer has experience in handling nursing home abuse cases, and he or she will try to resolve your loved one’s claim as soon as possible. 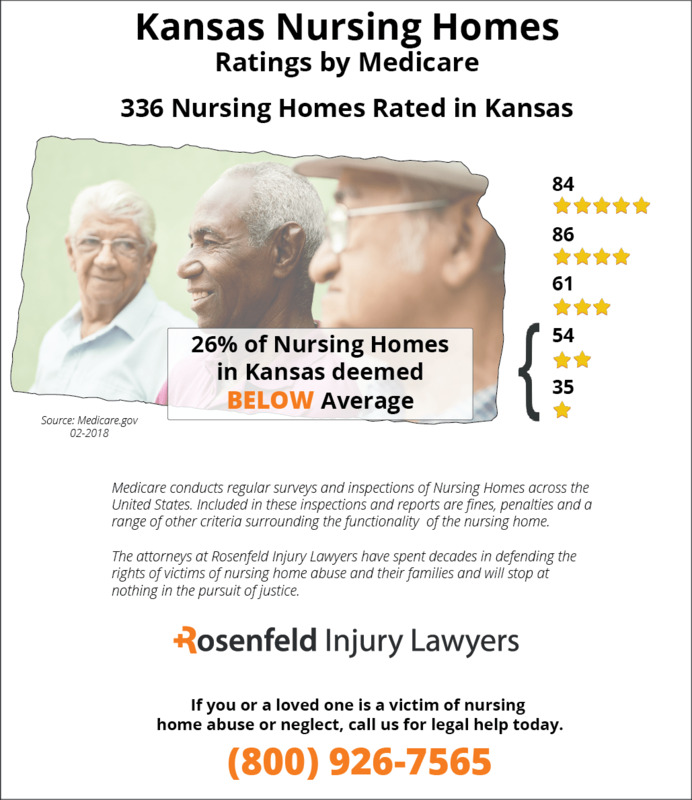 There are three main statutes that govern nursing home neglect and abuse cases in Kansas. These three statutes are the Protection from Abuse Act, the Mentally Ill, Incapacitated and Dependent Persons/Social Welfare Act and the Reporting Abuse, Neglect or Exploitation of Adults Act. 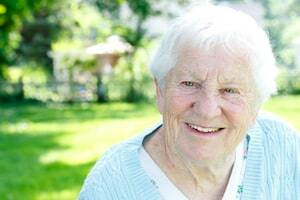 In the Protection from Abuse Act, a judge has great discretion to enact an emergency order with any relief that is necessary to protect an elderly person from abuse. An elderly person may be placed into a different facility to receive the medical treatment that he or she needs to survive. 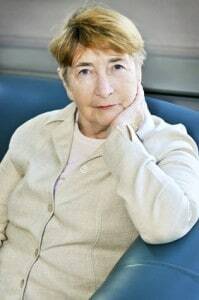 Whatever measure that must be taken to ensure the abuse ends will be ordered by the court. If you have a nursing home abuse lawyer working on your case, then he or she may be able to make certain recommendations to the judge. It can be helpful to work with a lawyer who has experience in elder law and may know of more appropriate facilities for the placement of your loved one. In addition, Kansas law maintains that individuals who know about abuse or neglect impacting a nursing home resident must report it to the local law enforcement agency. This duty to report is not optional, and there are penalties for people who know about abuse and fail to file reports with law enforcement. A person will be guilty of a misdemeanor if he or she knows about abuse and yet fails to make the report to law enforcement. The Kansas reporting law also lists a large number of individuals who have the responsibility to report abuse. The list includes any doctor, nurse, nursing home worker, practitioner of the healing arts, teacher, therapist, counselor, financial officer or other person who is aware that an elderly person is being victimized in an abusive situation. If you notice any of these signs, then get in touch with a Kansas lawyer who can help you today. Speak with our nursing home lawyers now for an initial consultation. Learning that abuse and neglect are occurring in a nursing home leaves families feeling angered and disgusted when their loved one develops a life-threatening pressure ulcer. In many incidences, this type of neglect is the result of understaffed facilities where administration is more concerned about profits than providing quality care to patients. As a result, these families often hire a Kansas pressure ulcer attorney to file a complaint to proper authorities, stop the abuse and seek financial compensation. Nearly every type of pressure ulcer is preventable when the medical staff takes appropriate actions when a developing bedsore is first detected. However, due to a lack of oversight, minimal supervision and improper training, the failure of staff to monitor residents diligently and follow appropriate healthcare protocols, patients can develop an open wound. A pressure ulcer (decubitus ulcer; pressure sore; bedsore) will typically begin as a mild skin inflammation usually on a bony prominence like the heels, ankles, knees, hips, buttocks, tailbone, shoulders and the head. It develops when sustained pressure on the skin blocks the flow of blood restricting oxygen to skin and underlying tissue. Within just a couple of hours, the lack of oxygen can cause permanent damage to the skin area causing it to become inflamed. Relieving pressure every couple of hours or less by readjusting the body is usually all that is required to eliminate the potential of developing a sore. However, when the nursing facility staff is inattentive or neglects to turn or readjust the patient’s body, a developing bedsore is likely to occur. Alternatively, well-managed nursing facilities implement strict routine schedules of body repositioning of all immobile patients bedridden or bound to wheelchairs to maintain their quality of health. When a pressure ulcer is allowed to progress to advancing stages, it can create a life-and-death situation for the patient. Without proper treatment using proven healing protocols, the pressure sore can become extensive, exposing bone, fat, muscle and tissue in the wound. The exposed area is often highly susceptible to developing an infection of the bone (osteomyelitis) and/or the blood (sepsis), which can quickly lead to the patient’s death. Complete and submit the form here to make contact with the reputable nursing home abuse attorneys listed below. These law firms handle these cases on contingency meaning the family is advanced the cost of stopping the negligence and seeking financial recompense. Completing the form here is a first step in scheduling a no obligation free consultation to help your loved one receive the best medical care to heal their wound and obtain the compensation they deserve.